Ants in your home, garden or businesses not only can cause damage to buildings and grounds, but can cause serious health issues carrying diseases whilst foraging for food such as E. coli and Salmonella. 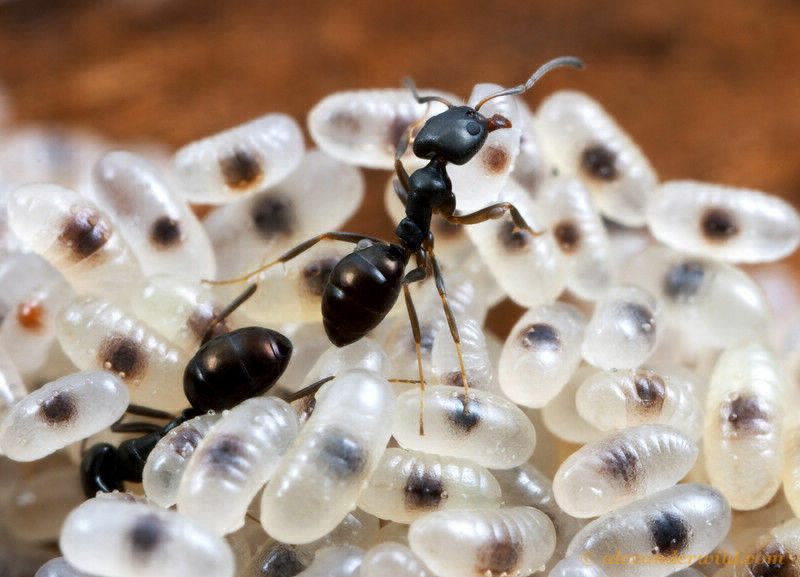 Ant colonies during the summer months can have several thousand within its colony, and can be on occasions extremely difficult to control and eradicate, however Axholme Pest Control have many years of experience in treating Ant colonies with a one hundred per cent success rate. Give Axholme Pest Control a call and we can give you free no obligation quote and professional advice on how to eradicate your Ant problem. We are here to help. Ants are eusocial insects of the family Formicidae and, along with the related wasps and bees, belong to the order Hymenoptera. Ants evolved from wasp-like ancestors in the Cretaceous period, about 140 million years ago, and diversified after the rise of flowering plants. More than 12,500 of an estimated total of 22,000 species have been classified. They are easily identified by their elbowed antennae and the distinctive node-like structure that forms their slender waists. Ants form colonies that range in size from a few dozen predatory individuals living in small natural cavities to highly organised colonies that may occupy large territories and consist of millions of individuals. Larger colonies consist of various castes of sterile, wingless females, most of which are workers (ergates), as well as soldiers (dinergates) and other specialised groups. Nearly all ant colonies also have some fertile males called "drones" (aner) and one or more fertile females called "queens" (gynes). The colonies are described as superorganisms because the ants appear to operate as a unified entity, collectively working together to support the colony.